It’s been a busy week! I started back at uni after the Christmas/New Year break, and I have a deadline this Friday so I’ve been working hard on that project all day today. I also went shopping with some lovely friends and visited family over the weekend. I’m still reading The Mortal Instruments and I love this series! I finished City of Ashes last night (review coming tomorrow!) and I started City of Glass today. Onto a very different story now but one I love just as much. 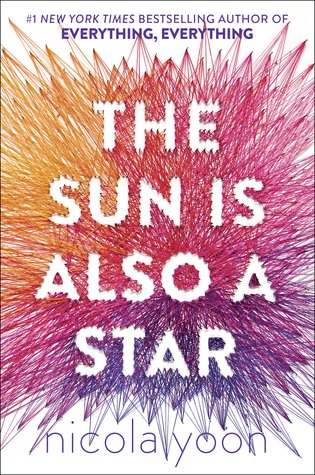 Today’s beautiful quote comes from The Sun is Also a Star by Nicola Yoon. I thought this one was fitting as the movie is being released this summer and I’m very excited for it! I got this book a few years ago for Christmas and absolutely loved it!